Seven leaders interrogated, released on bail. JUBA, South Sudan (Morning Star News) – Police in Sudan arrested and interrogated seven church leaders last week in Omdurman, Sudan before releasing them on bail, sources said. The Christian leaders were jailed for six hours on Wednesday (Aug. 23) and charged with refusing to comply with an order to turn over leadership of their congregation to a government appointed-committee. Omdurman lies across the Nile River from Khartoum, the capital. The Rev. 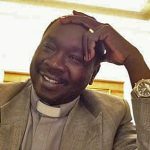 Ayoub Mattan, Sudanese Church of Christ (SCOC) moderator, and Kwa Shamaal (also transliterated Kuwa Shamaal), head of missions at the SCOC, were among the church leaders arrested. Pastor Shamaal was previously arrested on Dec. 18, 2015 and acquitted on Jan. 2 this year of charges ranging from spying to inciting hatred against the government. Sudan’s Ministry of Guidance and Religious Endowments had written a letter dated Aug. 14 ordering them to hand over church leadership to the committee appointed by the government ministry, sources said. When they refused, police opened a case against them, though it was unclear under what law. “Police asked if we still maintain our stance on our refusal to acknowledge the committee appointed by the Ministry of Guidance and Religious Endowments, and we said yes, because it is not the work of the [government] ministry to appoint committees for the church,” Pastor Shamaal told Morning Star News. Police said that in arresting them they were implementing orders from the Ministry of Guidance and Religious Endowments to impose its committee as new SCOC leadership, presumably to sell off the church property in Sudan’s bid to rid the country of Christianity. The pastors said the committee was contrary to SCOC’s constitution, which calls for general elections every three years to appoint new leadership. Pastors Mattan, Shamaal and the others are still members of the legitimate executive committee of the SCOC, sources said. The current leadership term expires in March 2018. Police also arrested the Rev. Yagoub Naway and pastor Musa Kodi, both from the SCOC. The four Christians were interrogated along with the three other church leaders, including SCOC Finance Secretary Abdulbagi Ali Abdulrahaman and SCOC Deputy Finance Secretary El-Amin Hassam Abdulrasool, before they were all released on bail. Six other SCOC members are in hiding after learning police were searching for them to arrest and interrogate them, sources said. Another SCOC pastor, the Rev. Hassan Abdelrahim Tawor, had received a 12-year sentence earlier this year after being charged with spying and trying to tarnish Sudan’s image, but he was freed along with Abdulmonem Abdumawla of Darfur on May 11 after receiving a presidential pardon. He had been arrested along with Pastor Shamaal in December 2015. They were convicted on baseless charges of assisting Czech aid worker Petr Jasek – pardoned and released on Feb. 25 – in alleged espionage, causing hatred among communities and spreading false information, according to their attorney. Foreign diplomats and international rights activists took notice of the case after Morning Star News broke the story of the arrest of pastors Abdelrahim Tawor and Shamaal. Their arrests were seen as part of a recent upsurge in harassment of Christians. Most SCOC members have roots among the ethnic Nuba in the Nuba Mountains of Sudan’s South Kordofan state, where the government is fighting an insurgency. The Nuba along with other Christians in Sudan face discrimination and harassment, as Sudanese President Omar Al-Bashir has vowed to introduce a stricter version of sharia (Islamic law) and recognize only Islamic culture and Arabic language. In its campaign to rid the country of Christianity, Sudan has designated 25 church buildings for destruction, and on Aug. 2 it demolished a Baptist church in Omdurman. On May 7 Khartoum state authorities in Sudan demolished a church building in the Khartoum suburb of Soba al Aradi, which began as a refugee camp for south Sudanese. A bulldozer sent by Jebel Aulia locality and the Ministry of Planning and Urban Development destroyed the SCOC building. Authorities had notified church leaders of the impending demolition just a week prior. The government reportedly claimed the churches were built on land zoned for residential or other uses, or were on government land, but church leaders said it is part of wider crack-down on Christianity. Harassment, arrests and persecution of Christians have intensified since the secession of South Sudan in July 2011. 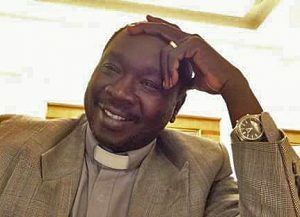 The Sudanese Minister of Guidance and Endowments announced in April 2013 that no new licenses would be granted for building new churches in Sudan, citing a decrease in the South Sudanese population. Sudan since 2012 has expelled foreign Christians and bulldozed church buildings on the pretext that they belonged to South Sudanese. Besides raiding Christian bookstores and arresting Christians, authorities threatened to kill South Sudanese Christians who do not leave or cooperate with them in their effort to find other Christians. Due to its treatment of Christians and other human rights violations, Sudan has been designated a Country of Particular Concern by the U.S. State Department since 1999, and the U.S. Commission on International Religious Freedom recommended the country remain on the list in its 2017 report.